Summary: As a major new international ‘World Extreme Medicine’ conference and EXPO series the inaugural event hosted by the Royal Society of Medicine, central London will be held over 15-18 April 2012. The conference will deliver 4 days of CME & FAWM-accredited knowledge, insight and innovation in the field of remote medicine and sub-disciplines: expedition and wilderness medicine, pre-hospital medicine, and disaster and relief medicine. Delivering these messages will be speakers who are the global leaders in remote extreme medicine, ideally placed to provide expert knowledge transfer to delegates. Developed specifically with medical professionals in mind, the International ‘World Extreme Medicine’ conference and EXPO will also be of interest to other medical specialists (nurses and paramedics) and as well as for students all with discounted rates. Specially discounted rates are available for accredited members of WMS societies and groups of medical students booking as a group. For more details please contact Dr Nick Knight, Expedition & Wilderness Medicines University Liaison, for more details. Download the full ‘Extreme Medicine’ program here. April 2012 see’s the launch of a major new conference/ EXPO 15 – 18 April. Hosted at the Royal Society of Medicine will be a collection of some of the leading experts in the extreme medicine world taking part in the first International ‘Extreme Medicine’ Conference and EXPO – details are due out very soon and tickets are limited so make sure you take advantage of the ‘early bird’ discounts to secure yours. International World Extreme Medicine Conference & EXPO. Antarctica. In association with Linblad Expeditions and National Geographic we will be launching an Antarctic Medical Conference for December 2012 aboard the National Geographic Explorer visiting the Antarctic Peninsula – details to be released end of June. Antarctic Medical Conference. ‘It’s humid, hot, muddy and sometimes cold at night, but it’s exactly this which makes the beautiful elements of the jungle just that bit more fantastic. Hidden waterfalls, incredible rivers, primary rainforest and then of course the chance of seeing elusive wildlife, jaguars, jaguarondis, monkeys and the plethora of ants, scorpions, spiders and snakes. The Jungle Medicine course is based on the Pacuare River, four hours by raft into the jungle. The base camp has all the luxuries you don’t expect, with even a raised lecture theatre looking over the river. Expect to work hard in the jungle during the day, getting used to travel and life in the jungle and then relax in comfy chairs listening to a few evening lectures. Towards the end of the week you will have the opportunity to trial your new skills and travel into the jungle, sleeping in hammocks, cooking on fires and navigating through the jungle. The directing staff will guide you through all of this and allow you to work and learn at your own speed, allowing you to feel safe and gain the most out of your experience and this incredible adventure. This course aims to give you the confidence to look after yourself in the jungle, hence allowing you to focus on the care of a sick patient. 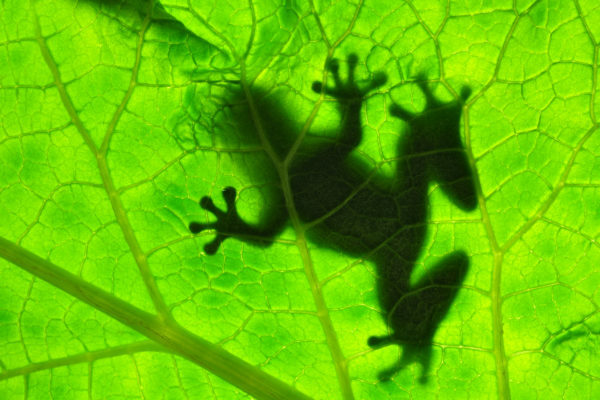 The Jungle Medicine course aims to equip doctors, nurses and paramedics with practical survival skills, an overview of tropical medicine, logistical knowledge and pre-hospital skills required on a jungle expedition. This action-packed course kicks off by rafting into camp before running through essential information you’ll need for the days ahead. Splitting the course into practical and theory based elements gives us an opportunity to vary teaching methods and importantly, gets you hands on ‘learning by doing’. You’ll adapt basic navigation and camp craft skills for use in the complex jungle environment, we’ll discuss the common conditions found in jungle environments and learn how to treat this conditions in such a challenging location. Accreditation will be offered through the Royal College of Surgeons of Edinburgh. We estimate 30 hours of CPD will be awarded for the complete course. New Logo for World Extreme Medicine Conference & EXPO, 15 April 2012 to 18 April 2012. As we get closer to finalising the details for the World Extreme Medicine Conference & EXPO to be held at the centrally located Royal Society of Medicine in London we are proud to give you first glimpse of the conferences logo. Extreme Medicine Conference & EXPO, 15 April 2012 to 18 April 2012. We wanted something modern and contemporary which illustrated in a straightforward dynamic manner the underlying concept. So we approached Fathom, a dynamic creative team based in Poole, who have a similar come up with what we think is a great logo. Registration will be opening soon but will be offered initially to those of you who have pre-registered your interest and at special discount. If you would like to pre register your interest then you can do so here – admin@expeditionmedicine.co.uk. The Royal Society of Medicine, centrally located near Oxford Circus in Central London, was established over 200 years ago and is now one of the largest providers of continuing medical education in the UK. EWM members do not pay their usual joining fee, save 5% on annual direct debit membership and receive a £10 RSM voucher. The package provides up to £140 of savings and membership starts at just £90 a year. Call 020 7290 2991 quoting ‘Expedition Medicine’ to join now. Royal Society of Medicine website. We have had an amazingly busy month with courses at the National Mountain Centre Plas y Brenin, Wales and a truly fantastic week in Namibia on the iconic Desert Medicine course. We’ve provided medical cover for Sir David Attenborough and also the Blue Peter team as they attempted to swim 8km over the Marianna Trench, the deepest part of the world’s oceans. We’ve also been working hard on getting some of our training packages confirmed for next year together with a number of new courses for 2012 and of course not forgetting the Expo which we’ll be revealing more about over the next few weeks..
Desert Medicine – an amazing week! We hope you enjoy this edition of EWM eNews. place to meet both like-minded medics and here about expedition opportunities. So come on and join us. ‘It’s humid, hot, muddy and sometimes cold at night, but it’s exactly this which makes the beautiful elements of the jungle just that bit more fantastic. Hidden waterfalls, incredible rivers, primary rainforest and then of course the chance of seeing elusive wildlife, jaguars, jaguarondis, monkeys and the plethora of ants, scorpions, spiders and snakes. 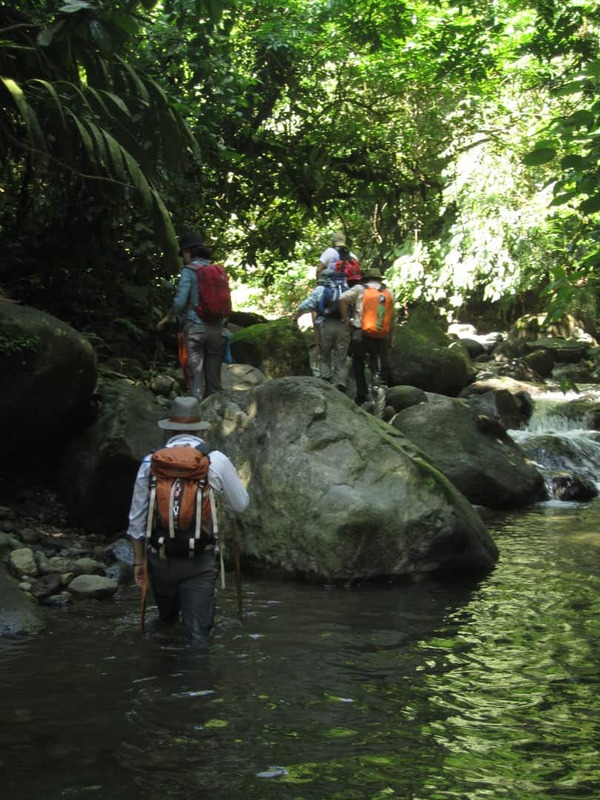 The course is based on the Pacuare River, four hours by raft into the jungle.The base camp has all the luxuries you don’t expect, with even a raised lecture theatre looking over the river. Expect to work hard in the jungle during the day, getting used to travel and life in the jungle and then relax in comfy chairs listening to a few evening lectures. Towards the end of the week you will have the opportunity to trial your new skills and travel into the jungle, sleeping in hammocks, cooking on fires and navigating through the jungle. This months edition of the Smithsonian online Magazine has featured a great article on EverestER founder and Nepal Mountain Medicine course leader Luanne Freer. ‘A middle-aged woman squats motionless on the side of the trail, sheltering her head from the falling snow with a tattered grain sack. Luanne Freer, an emergency room doctor from Bozeman, Montana, whose athletic build and energetic demeanor belie her 53 years, sets down her backpack and places her hand on the woman’s shoulder. “Sanche cha?” she asks. Are you OK?’ Read the full article here. Following the Everest Base Camp Trail from Lukla the Wilderness Mountain Medicine course will run as we trek our way to base camp over a total of 16 days of which 13 days will be trekking at an easy pace, staying in Nepalese teahouses along the route and enjoying the spectacular scenery along the route. 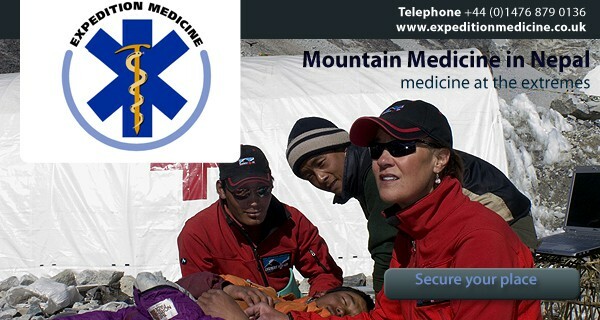 A donation is made from the proceeds of the Wilderness Mountain Medicine in Nepal to the Everest ER organisation (a US based nonprofit charity org) to help continue its life saving work at Everest Base Camp. Everest ER T-shirts and 2011 patches for your rucksack can be gained by making a small donation. April 2012 see’s the launch of a major new conference/ EXPO.15 – 18 April hosted at the Royal Society of Medicine will be a collection of some of the leading experts in the extreme medicine world taking part in the first International ‘Extreme Medicine’ Conference and EXPO – details are due out very soon and tickets are limited so make sure you take advantage of the ‘early bird’ discounts to secure yours. 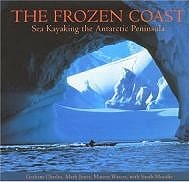 Pre register your interest here Antarctica. 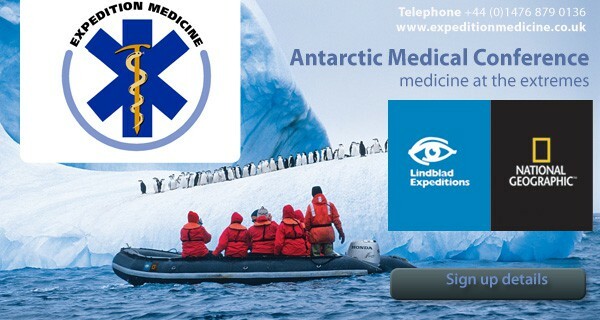 In association with Linblad Expeditions and National Geographic we will be launching an Antarctic Medical Conference for December 2012 aboard the National Geographic Explorer visiting the Antarctic Peninsula – details to be released end of June. Medicine on the wild side. We are running all of our amazing courses again next year on top of the new exciting ones too. Watch BBC Big Splash tomorrow, 20th June, at 4.30 BBC2 to see Dr Amy Hughes supporting Blue Peters two world records for swimming in one of the deepest stretches of water on the planet. As often is the case, many of the media operations requiring a medic often do so at the very last minute. This in no way reflects badly on the programme or producers themselves, it is often just the case that many don’t think about the requirement of medical cover for a shoot until highlighted by either the insurance documents or, with final plans in place, the realization of quite how remote the shoot is! The benefits of this for the medic is that it adds a whole new dimension to the event, as limited preparation time only adds to the wonderfully enjoyable challenge of working with the media. 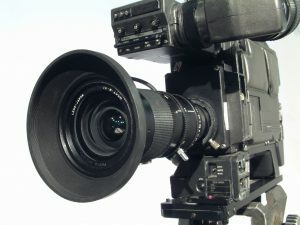 In this case, I had a couple of days to prepare for an overseas shoot with the BBC (Blue Peter). The main challenge for this project arose with the planning of medical kit to take. I needed enough for a 10 strong boat crew, an endurance swim and a country with a scarcely resourced hospital. Once on the boat, the minimal casevac time was thought to be around 24 hours from the time taken to sail from the depths of the pacific ocean to an air strip or helicopter pick up point. And so began my 48 hour almost sleepless venture of composing, ordering and searching for various drugs and bits of kit I may need for any possible medical or traumatic eventuality. In planning it can often be easy to focus on the activity at hand and what injuries could result from that, and overlook the more common likely events that may happen amongst the crew – for example someone slipping on a wet deck and banging their head resulting in a extradural or subdural bleed (time critical) or a myocardial infarction (pretty time critical). Everything needs to be considered, including quantities sufficient to treat one or more individuals who may suffer a similar illness at the furthest possible casevac point – for example a severe bout of food poisoning requiring intravenous fluids and antiemetics 23 hours 59 minutes from aeromedical retrieval! Something to be aware of is that ordering drugs, especially opiates and controlled drugs, takes at least 24 hours and that can be delayed due to stock levels. Also, various forms of signed official paperwork are required prior to online pharmacies dispensing opiates which is time consuming (those who are hospital doctors will find this is the best way to source drugs such as morphine and fentanyl. GPs often have access to a controlled drug prescription pad). Palau, Latitude 70 30’00″ North, longitude 1340 30’00” east; is an island of approximately 459 square kilometers and with a population of 20000, sitting about 500 miles east of the Philippines forming part of the Micronesian state. The island hosts a beautiful outcrop of rock islands as well as probably the most beautiful coves of sand and gardens of coral. It is a truly stunning island, slowly becoming popular with divers although the dive sites are still relatively untouched. Palau was to be the island from which Blue Peter presenter Andy Akinwolere started his journey of swimming 8km across one of the worlds deepest trenches. For someone with a fear of deep water and having only learnt to swim ten weeks prior, it was an incredible achievement. Fortunately the only medical emergency that I was required for was the delivery of an intramuscular injection of Stemetil in a futile attempt to cease the vomiting of a sea sickness victim. The rest of the trip was uneventful and an absolute delight to be part of. In a way though, there is always that slight disappointment that my 26kg of medical kit wasn’t put to use……….! In April 2011 Ibex Earth led an expedition to Mount Roraima – the South American plateau that inspired Arthur Conan Doyle to write his famous adventure novel ‘The Lost World’ – to raise funds for the conservation of this remarkable area. However, two weeks before we due to depart our medic was unable to travel with the group – by contacting Expedition and Wilderness Medicine they were able to get us out of a tricky situation by taking a really proactive approach with their membership and finding us a whole group of medics with expedition experience. Quite simply without EWM we would not have been able to travel to Mount Roraima in the knowledge our whole group was in the safe hands of a qualified doctor with expedition experience. Join the team at the Royal Geographical Society in London on Tuesday 13th September 2011 for the Premiere of ‘The Lost World Film’ – a documentary that aims to promote global conservation, sustainable tourism and safeguard the long-term future of Mount Roraima – the South American plateau that inspired most recently the Disney Pixar’s 2009 animated blockbuster ‘UP’. 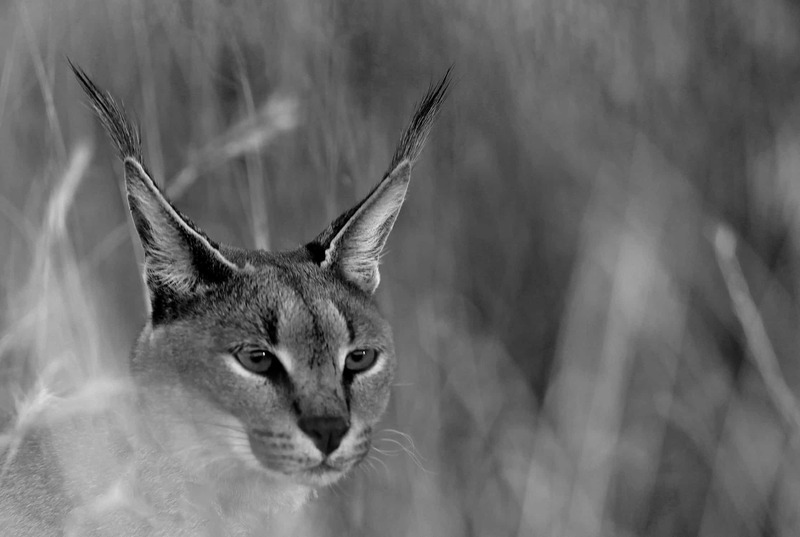 Ibex Earth is a not for profit organisation that was established in 2008 to support the work of environmental charities and promote the conservation of our planet’s natural resources. Dr Luanne Freer, leader of this years Nepal CME accredited Wilderness Mountain Medicine course in Nepal, has been written up in a brillant article on the illustrouis Smithsonian website in an article entitled ‘Inside the ER at Mt. Everest’ by Molly Loomis. A middle-aged woman squats motionless on the side of the trail, sheltering her head from the falling snow with a tattered grain sack. Luanne Freer, an emergency room doctor from Bozeman, Montana, whose athletic build and energetic demeanor belie her 53 years, sets down her backpack and places her hand on the woman’s shoulder. “Sanche cha?” she asks. Are you OK? The woman motions to her head, then her belly and points up-valley. Ashish Lohani, a Nepali doctor studying high-altitude medicine, translates. “She has a terrible headache and is feeling nauseous,” he says. The woman, from the Rai lowlands south of the Khumbu Valley, was herding her yaks on the popular Island Peak (20,305 feet), and had been running ragged for days. Her headache and nausea indicate the onset of Acute Mountain Sickness, a mild form of altitude illness that can progress to High Altitude Cerebral Edema (HACE), a swelling of the brain that can turn deadly if left untreated. After assessing her for HACE by having her walk in a straight line and testing her oxygen saturation levels, the doctors instruct her to continue descending to the nearest town, Namche Bazaar, less than two miles away. Freer, Lohani and I are trekking through Nepal’s Khumbu Valley, home to several of the world’s highest peaks, including Mount Everest. We are still days from our destination of Mount Everest Base Camp and Everest ER, the medical clinic that Freer established nine years ago, but already Freer’s work has begun. More than once as she has hiked up to the base camp, Freer has encountered a lowland Nepali, such as the Rai woman, on the side of the trail ill from altitude. Thankfully, this yak herder is in better condition than most. A few weeks earlier, just before any of the clinics had opened for the spring season, two porters had succumbed to altitude-related illnesses. Each year over 30,000 people visit the Khumbu to gaze upon the icy slopes of its famed peaks, traverse its magical rhododendron forests and experience Sherpa hospitality by the warmth of a yak dung stove. Some visitors trek between teahouses, traveling with just a light backpack while a porter carries their overnight belongings. Others are climbers, traveling with a support staff that will aid them as they attempt famous peaks such as Everest (29,029 feet), Lhotse (27,940 feet) and Nuptse (25,790 feet). Many of these climbers, trekkers and even their support staff will fall ill to altitude-induced ailments, such as the famed Khumbu cough, or gastro-intestinal bugs that are compounded by altitude. A short trip with a group of fellow doctors to the Khumbu in 1999 left Freer desperate for the chance to return to the area and learn more from the local people she had met. So in 2002 Freer volunteered for the Himalayan Rescue Association’s Periche clinic—a remote stone outpost accessed by a five-day hike up to 14,600 feet. Established in 1973, Periche is located at an elevation where, historically, altitude-related problems begin to manifest in travelers who have come up too far too fast. For three months, Freer worked in Periche treating foreigners, locals and even animals in cases ranging from the simple—blisters and warts—to the serious, instructing another doctor in Kunde, a remote village a day’s walk away, via radio how to perform spinal anesthesia on a woman in labor. Both the woman and the baby survived. Find out more about the Nepal CME accredited Wilderness Mountain Medicine course in Nepal attendance of this course will count toward a FAWN degree. Details of the four day Extreme Medicine Expo to held at the Royal Society of Medicine in central London from the 15-18th April 2012 will be released very soon…. JuniorDr’s Ivor Vanhegan asked Sean about his experience of expedition medicine and advice for junior doctors interested in it as a career. After training in the UK I decided to work abroad for a while to experience medicine in a more remote environment. It was an early stage in my career but even at this point it was apparent that the broader my knowledge base, the more likely I was to be employed. Expedition Medicine is approximately 60% general practice, 30% environment specific and the remainder trauma. I worked for a year with Raleigh International in Africa, on a ski field in New Zealand and climbed through Central Asia and the Himalayas. Working as an expedition/wilderness medic I often find myself working alone and without the usual infrastructure we all rely upon on a daily basis. It can sometimes be terrifying and exciting but ultimately extremely satisfying. Furthermore, the skills you develop as an expedition medic are increasingly becoming recognised and valued in other fields of medicine. Over the last 2 years, I’ve worked in many varied locations and roles throughout the world. This has included: in Antarctica setting up and running one of the remotest clinics in the world, running training courses in Iraq for close protection officers and providing medical cover for production companies in a number of remote locations. I also provided the medical support for a fashion shoot in Southern Africa and have worked as a consultant for the foreign office. In addition to these roles I have also trained a number of private individuals before they head off on exciting, often solo, expeditions. The future for medics wanting to work in this field is increasingly bright. The specialty is gaining recognition and with that comes remuneration. Soon we may arrive at the stage where medics can choose this as a career pathway rather than a stop gap to a more traditional specialty. In recognition of this, a postgraduate qualification is now available in Wilderness Medicine. The Fellowship of the Academy of Wilderness Medicine (FAWM) is a postgraduate qualification which recognises experience and learning in the field of Expedition and Wilderness Medicine. It is overseen by the Faculty of Wilderness Medicine in the US. Expedition and Wilderness Medicine training facualty.